Care at home is delivered to you in your own home by our friendly, experienced care staff. We aim to help you stay living in the comfort of your own home for as long as possible. Our care workers will help you with daily tasks such as dressing, washing, taking medication, going to the toilet, getting ready for bed, food preparation and help with eating if required. We can arrange to come at the time of day which suits you best. We will discuss with you the level of support you need and ensure that we give you exactly the care you need to stay at home for as long as possible. Our care at home calls are for a minimum of 30 minutes per visit and prices start from £12.35 per 30 minute visit. You may be eligible for funding to cover the cost of these visits, please call us to discuss this. To find out more call us on 023 8051 6034. Sometimes as we get older we can find it harder and harder to leave our home. 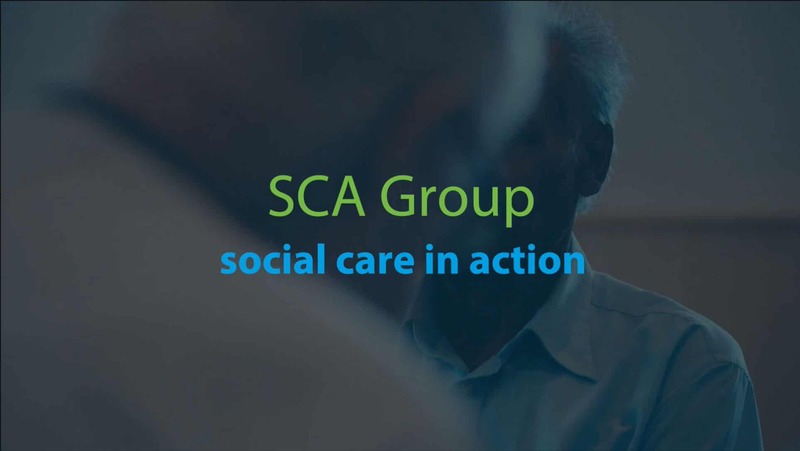 Here at SCA Care we can provide support and companionship to help you live life to the full in your local community. This could be for shopping, leisure activities, worship or just for a walk. In addition our support work service can provide assistance with a variety of practical activities in the home such as safety check calls, medication check calls or help with budgeting, bills and letters. We can support with care for pets such as dog walking. Our team are fully trained and our service is available to older people, people with learning disabilities and people with mental health issues. Our respite care services provide a care worker to stay with a loved one whilst you take a break from your caring role. This is sometimes also called a sitting service or a take a break service. The care worker will be able to prepare meals if needed and help with using the toilet. This service is available on a ‘one off’ basis or can be booked as a weekly or fortnightly service. It is available up to 10pm and visits must be a minimum of one hour. Prices start from £15.79 per hour. If you would like to find out more please call 023 8051 6034. We also run a number of Day Opportunities which provide a safe and enjoyable day out for your loved one. Shopping – you write the list and we’ll go and get it for you and put it away for you. Pet Care – we can help clear up after your pet if required. Cleaning – bathrooms, kitchens, dusting, washing up, tidying and vacuuming. Laundry – we’ll help you with the washing and ironing and can change the bed for you. We can help with a one off visit or we can come to you on a regular basis. Our price is £12.00 per hour and we provide this service on weekdays. For more information please call 023 8051 6034. We can provide you with a care package, designed by you, that combines two or more of our services. You may feel that you would benefit from more than one of our services and that we can meet those multiple needs through one package of care. This would provide you with a more joined up, customer focussed service. Prices for our holistic service start from £15.79 per hour and we require calls to be a minimum of two hours. We are happy to talk this through with you. We will always suggest this approach where we feel it would be of benefit to you. Please call us on 023 8051 6034.